This culture is Gram+, nonmotile chains of cocci; recommended for college or above. It is cultured on tryptic soy agar with 5% sheep blood or Dextrose Starch Agar at 37° C. Each culture contains enough material for a class of 30 students. 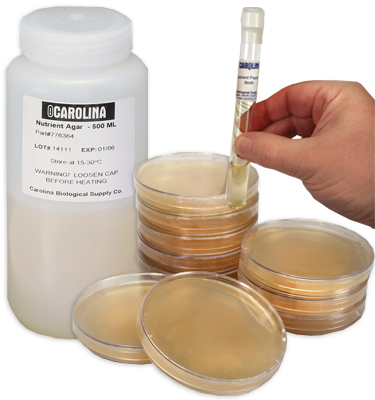 MicroKwik Culture® is a Carolina® trademark for freeze-dried, viable bacteria plus medium. Since MicroKwik Cultures can be stored under refrigeration, they can be ordered ahead of time. Per vial. Note: Each MicroKwik Culture® comes with 5 mL of rehydration medium.